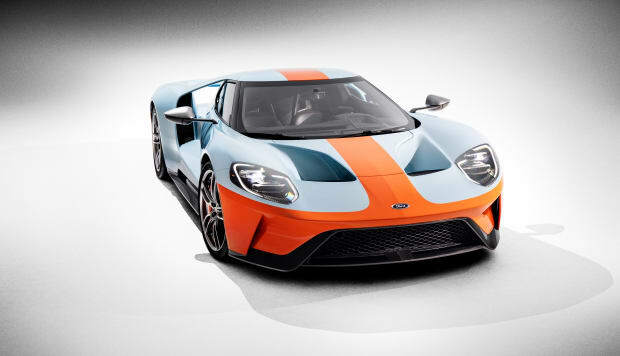 A modern take on the famed blue and orange paint Gulf Oil paint scheme. 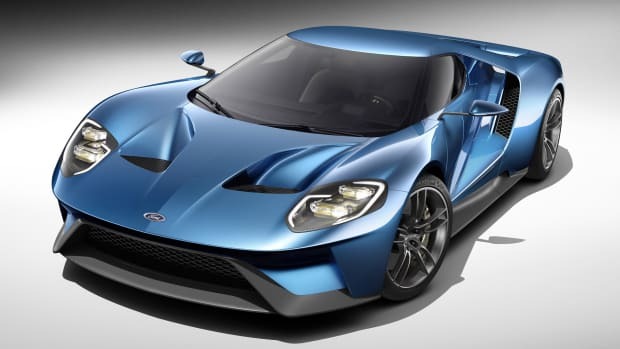 For 2019 model year, Ford&apos;s Heritage Edition GT takes it back to the &apos;60s to celebrate the 50th anniversary of their 1968 and 1969 Le Mans victories. 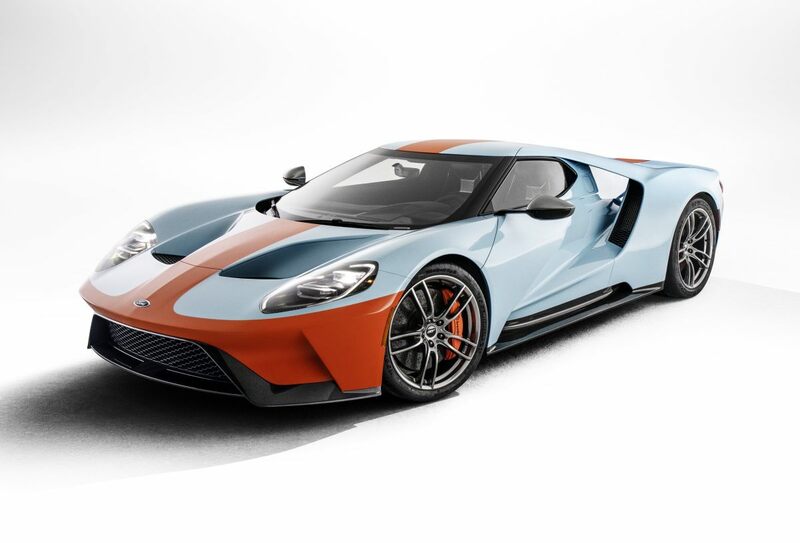 Th supercar will feature a paint scheme in Heritage Blue and Heritage Orange, the very same duo of colors that have adorned many a race car for decades. It will also be offered with an optional package that features exposed carbon fiber elements for the interior and exterior. The package will feature No. 9 graphics for the door and hood and a ghosted image on the interior door panels. 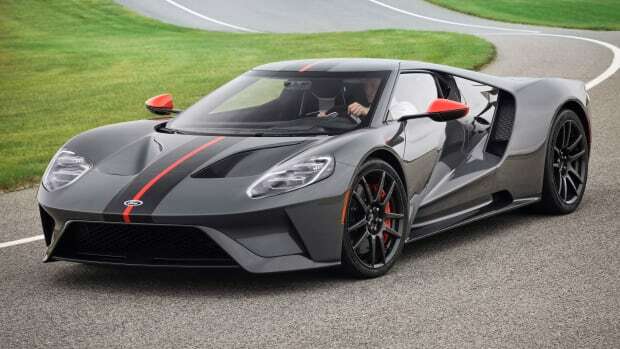 You&apos;ll also find exposed carbon fiber A-pillars, 20-inch one-piece forged aluminum wheels in a high-gloss dark stainless finish with orange calipers. 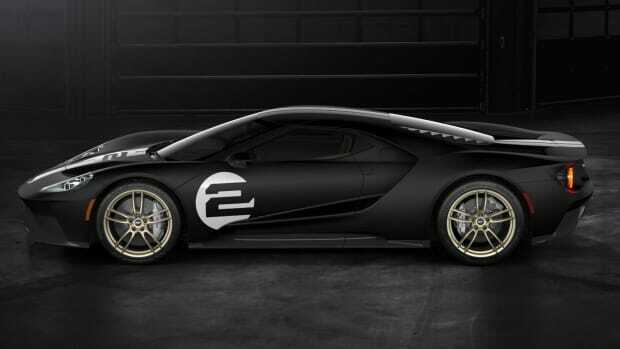 The car saves weight with the use of carbon fiber wheels and a polycarbonate engine cover. In honor of the 1966 Le Mans-winning GT40 Mark II.